Designed to organize your suit, tie, belts, etc., this cappuccino and chrome valet will be a stylish addition to your home. This fashionable valet offers a form-fitting hanger, accessory tray and trouser bar. This fashionable valet offers a form-fitting hanger, accessory tray and trouser bar. The shelves are crafted of durable laminate and finished in smooth white with soft, rounded edges to protect your clothes from snags.It features 2 fixed shelves and 1 fully adjustable shelf for versatile storage. Stack 2 units together to create a tower and maximize your closet space. With the provided hardware, this 16-inch adjustable storage organizer is easy to install on a wall or door, and makes sorting out a cluttered room or closet a snap. The folding hooks can be used to hold mops and broom handles upright, while the straight pegs are perfect for keeping clothes, rags or shopping bags off the floor. Honey-Can-Do SFT-01745 8-Shelf Hanging Vertical Closet Organizer with 2-Pack Drawers, Black Polyester. Turn a jumbled mess into a well-organized closet with our soft storage solutions. This durable piece keeps clutter at bay using every inch of available space for endless storage possibilities. This organizer has reinforced shelves for great capacity and easily attaches directly to your closet rod with Velcro-style straps. Perfect for organizing bulky sweaters, pants, shirts, and bags. Incorporate the included matching storage drawers and instantly create more space for socks, undergarments, and accessories. They have a handy pull-out, fabric handle for easy access to drawer contents. One item in Honey-Can-Do's mix and match collection of sturdy canvas closet organizers available in several colours, it's a perfect blend of economy, strength, and style. Bedroom Valet Organizer in Cappuccino & Chrome Designed to organize your suit, tie, belts, etc., this cappuccino and chrome valet will be a stylish addition to your home. 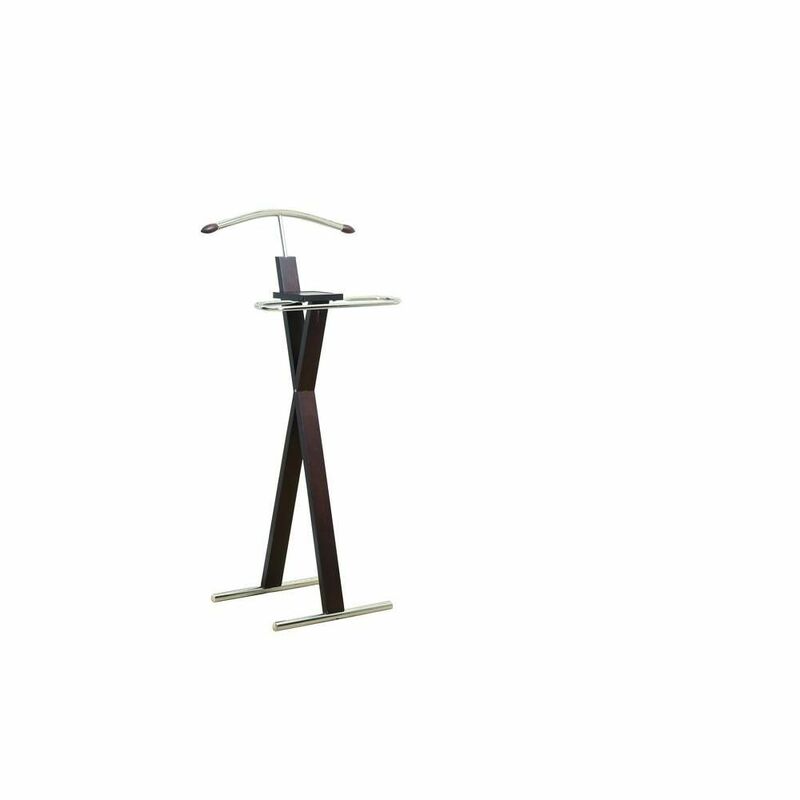 This fashionable valet offers a form-fitting hanger, accessory tray and trouser bar.